The Rebel Sweetheart. : For the Love of Pororo. My fascination for Korea is no secret. If you've been following my blog for quite some time, then you pretty much have an idea how much I love the country and its culture. I watch Korean dramas as if they were my sustenance, and Kpop songs have taken over my iPod and CD shelf. My makeup is Korean, the noodles on my cupboard are Korean, the chocolates and canned coffee inside my fridge are Korean, heck, even my toothbrush is Korean! Even my son has joined the bandwagon. Because now, even the cartoon that he watches is Korean. Of course, I'm referring to none other than Pororo the Little Penguin! Yue first saw him in an episode of Running Man, a Korean variety show. (See? I don't even watch Philippine TV anymore!) 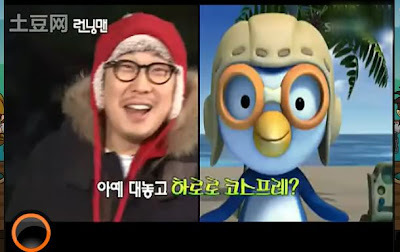 Haha, one of the shows co-hosts, has earned the name of Haroro because of his distinct resemblance to the little penguin. If I remember correctly, this is the episode where Yue first laid eyes on Pororo. Haha + Pororo = Haroro. From then on, the little man has kept on bugging me about 'the penguin with glasses' and why he can't find him on TV. While Pororo has a worldwide following and broadcast rights of his show are distributed to 80 different countries, the Philippines - unfortunately - is not one of them. So for the love of Pororo and my son, I had to download episodes from the web, convert them into .mp4, and burn them into DVDs. I even had to weed out the Hangul episodes because Yue couldn't possibly read the subtitles just yet. These days, he's asking for Pororo toys, which, of course, are also unavailable here. Now my husband is on a mission to buy (all of) these for his son. 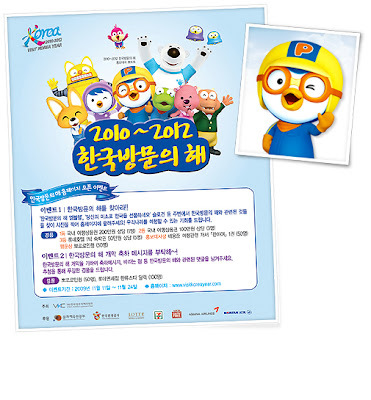 That wouldn't be much of a feat since Pororo can be found practically anywhere in Korea. For sure the little penguin is available even at the Emart and Homeplus nearest to my husband's apartment. I smell (toy) shopping over the weekend. 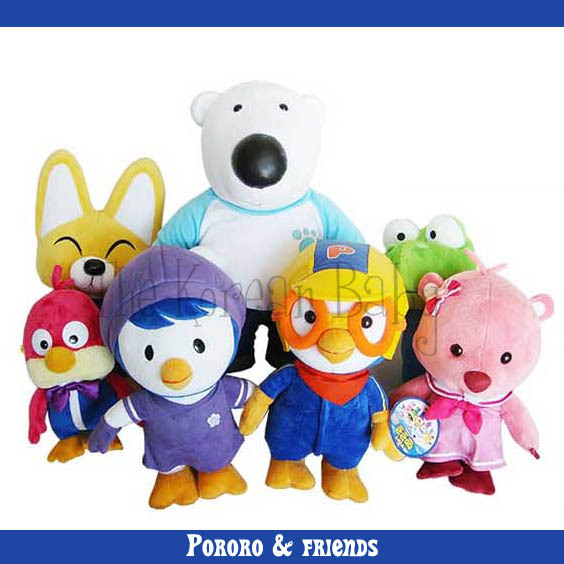 And just so you know, Pororo is not just a penguin. He also happens to be a PR Ambassador for the Visit Korea Year Campaign. Sharing with Toy Stories, Blue Monday, Mellow Yellow Monday and Orange Tuesdays. Thanks for sharing these blues. Pororo is cute. He's a very cute peguin!!! Good Luck on your shopping trips! cute plushies! 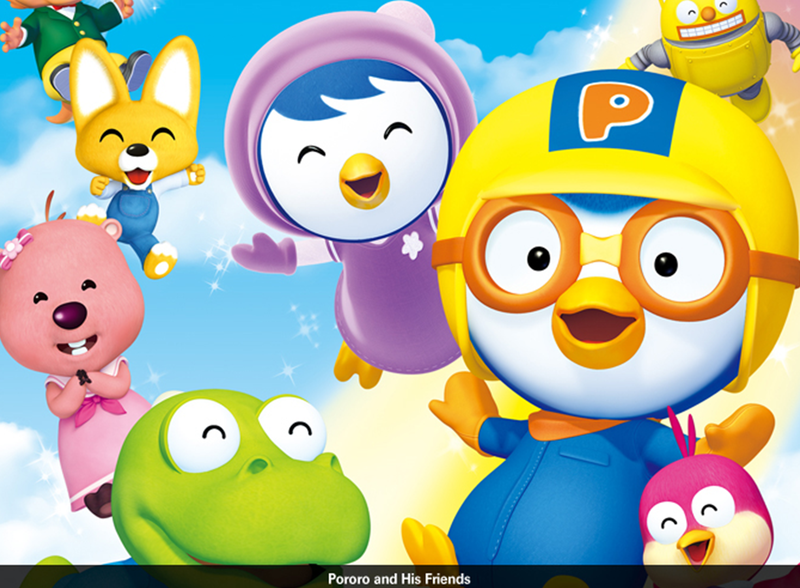 my 3year old likes watching Pororo, too (disney junior - skycable)...didn't know he was Korean! lol. Hahaha my son immediately say "chicken little" lol.. He bought a bag with puroro design in Korea but he cals it chicken little lol. Since I live in the States I've never seen this cute character, but I could see my kids loving him too! Isn't it funny how you can just go crazy to find toys for your kids if they really love something. I remember one year going nuts trying to find a Blues Clues doll! Very cute, thanks for a fun post! Please come and see the yellows from "It's a Small World" attraction of Disney World. It's interesting to see what children in other countries are going crazy over! My girls are nuts over the Disney princesses and my son is too young to reveal what his passion will be. 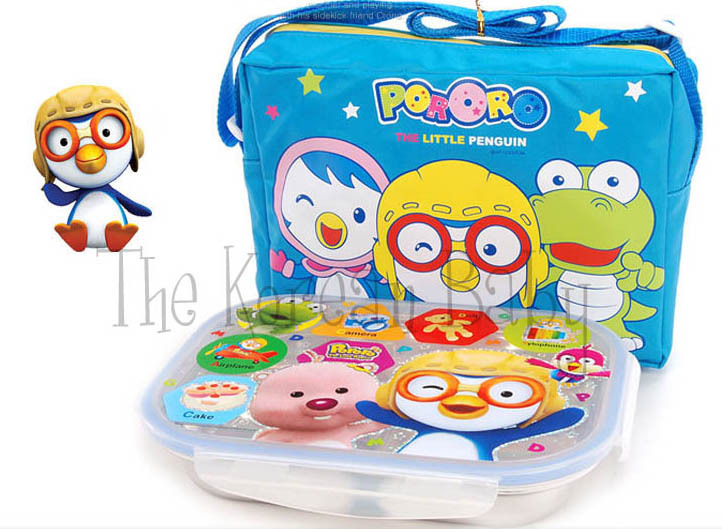 Pororo is cute! 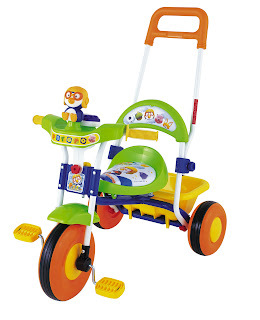 Hope your son enjoys al of his new toys!